Spotlight makes finding apps, contacts, emails, songs, and old messages extremely easy on an iPad, iPhone, or iPod touch. You can even search for Wikipedia articles online, as well as perform general web searches. The only problem is that Apple kicked Google Search results to the curb in iOS 8 in favor of Bing, and at times, Bing fails to provide YouTube links for relevant search queries. 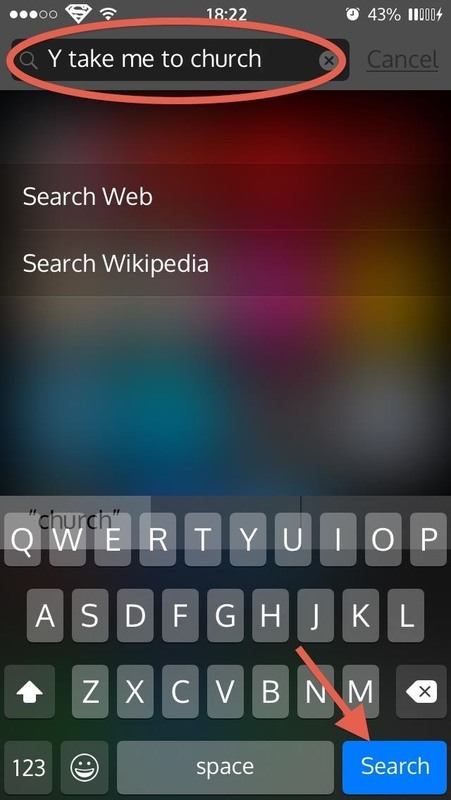 But if you have a jailbroken device, you can add Google Search and YouTube results to any Spotlight search. 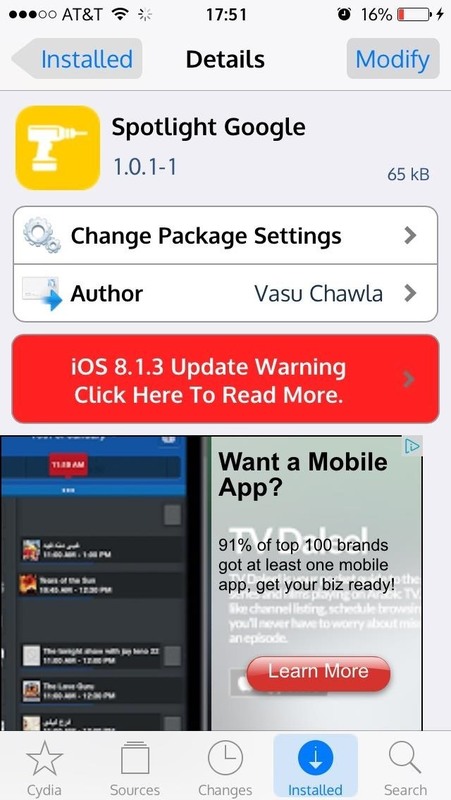 To enjoy the glory of Google Search results and YouTube links, you'll need to install the following free tweaks from Cydia. Once you've installed both, you'll need to respring your device to enable the tweaks; there are no settings or options to configure. With both tweaks installed, you'll have to enter an initial before your search terms to bring up the results you want. 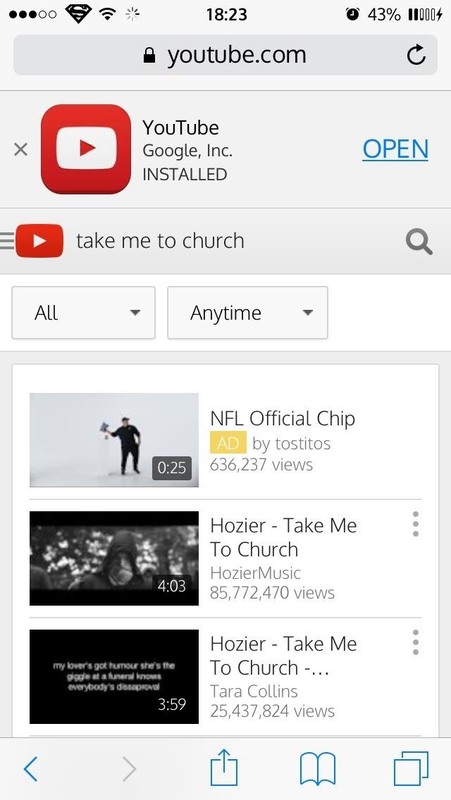 For example, searching for "Y take me to church" will bring me directly to YouTube in Safari with a list of videos of the popular song from Hozier. From there, you can click on a video link or open the YouTube application on your device. Spotlight Google and SpotBingSearch are two essential tweaks that make using Spotlight search more helpful. I almost always prefer Google's search results to Bing's, and now I can receive them by simply entering a "G" before my search terms. Want to expand search results on your iOS device even more? 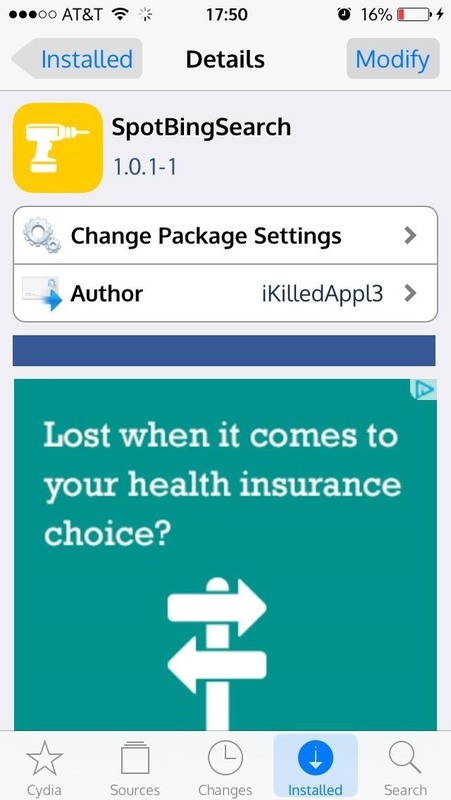 Check out In-App Search, an app that searches content inside of third-party apps on your iOS device and lets you open the app directly from the results. It's a nice companion to Spotlight. Don't forget to follow us on Facebook, Google+, or Twitter to stay up to date on all the latest Gadget Hacks guides!